Codis Maya cufflinks and accessories blend an ancient enamelling technique with an aesthetic combining the best of British design over the past three centuries. 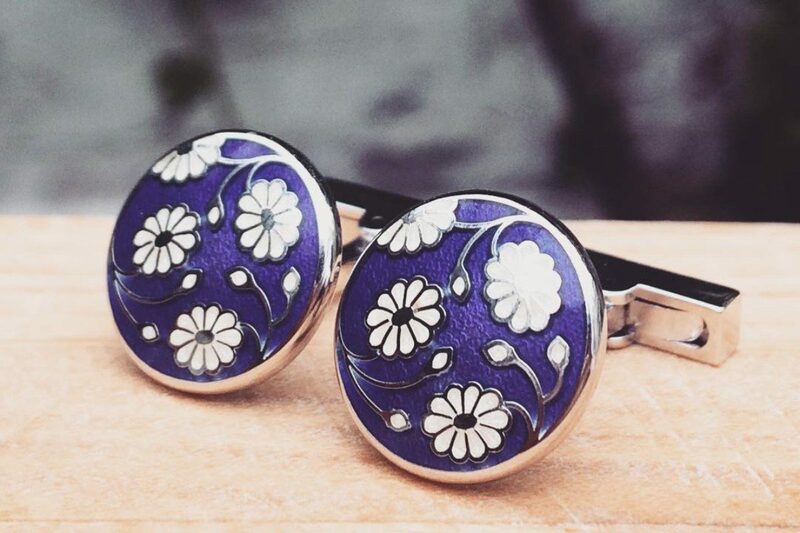 Codis Maya's silver and vitreous enamel Daisy cufflinks in aubergine and ivory. Codis Maya may have only been founded in 1986, but the art that is the brand’s stock-in-trade, vitreous enamelling, has a history dating back at least as far as ancient Egyptian times. Practised and prized for millennia, vitreous enamelling involves decorating an object with powdered glass which is then fired at temperatures of around 800° Celsius, melting the powder, which cools and hardens creating a smooth, lustrous finish — as seen on the majority of Codis Maya’s cufflinks and accessories. Aluwihare, who today runs Codis Maya with her daughter Lia, founded the company not long after completing a degree in Jewellery Making and Business at Sir John Cass in London. “I started by designing a small collection of heraldic style badges — it was the ’80s after all — that were made by hand in Britain and with enamel. I was lucky that they were well received and taken on by a few shops, including Liberty, which gave me the chance to continue creating collections.” Since then, Codis Maya has been sold in stores around the world, and Aluwihare has been commissioned by luxury houses such as Asprey and Turnbull & Asser to create private collections. The brand offers products in a range of materials, from brass to silver and gold, in an attempt to appeal to a range of customers. The Codis Maya aesthetic equally seeks out a broad audience. “Our approach to design is to create something for everyone — from those who want a very subtle adornment that is special to them to those seeking to express themselves with a more eye-catching piece in colour or with a individual motif, for example. 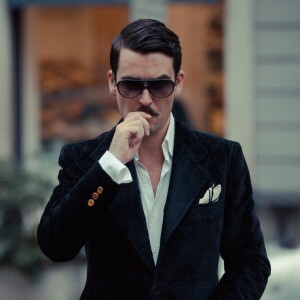 The collection is largely understated and elegant which can be worn in both formal and casual settings. It’s distinctly British at its core,” she says, citing as key inspirations the Britons Arthur Sanderson, William Morris and Barbara Hepworth, while also acknowledging as muses Eduardo Paolozzi, Le Corbusier, Anish Kapoor and Georg Jensen.